With Mercedes-Benz Genuine Parts you benefit from more than one hundred years’ experience in vehicle and parts construction. Thanks to their exceptional quality, approved safety and outstanding reliability, these parts are a compelling proposition. What is more, the extreme durability and outstanding price/performance ratio of our Genuine Parts is particularly cost-effective. Inimitable and unmistakable: precisely defined manufacturer's specifications plus comprehensive checks and extensive tests guarantee that each and every genuine Mercedes-Benz part meets our highest quality standards and is always absolutely state of the art. Mercedes-Benz Genuine Parts can be recognised by their unmistakable hologram packaging. 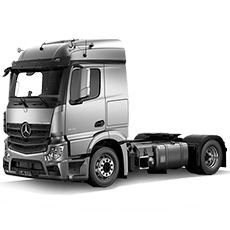 As part of a sophisticated logistics structure, Mercedes-Benz Genuine Parts are made available to you as quickly as possible via your dealer – and including installation if required. 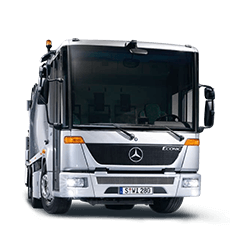 Our Mercedes-Benz Genuine Parts ensure that your vehicle stays a genuine Mercedes-Benz down to the finest detail and that you reach your destination quickly and safely. The warranty period commences on the date the part is sold and continues for the periods set out below. 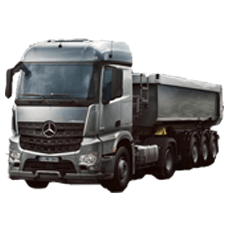 For heavy Mercedes-Benz trucks (Axor, Atego, Actros, Unimog) the parts warranty is 12 months/unlimited km. For all other vehicles (Freightliner, Sterling) the parts warranty period is 12 months and/or 100,000 km, whichever occurs first. For heavy commercial vehicle Alliance Truck Parts and Alliance Exchange Parts, the warranty period is 12 months/100,000 km, whichever occurs first. For light commercial vehicle Alliance Truck Parts and Alliance Exchange Parts, the warranty period is 24 months/200,000 km, whichever occurs first. Should a part fail outside the warranty period, it may be subject to parts goodwill and a request can be generated through the ESKULAB system. The Mercedes-Benz Global Logistics Centre in Germany is the world’s biggest warehouse for automotive parts. This central warehouse is the coordination and distribution centre for the global parts logistics of Mercedes-Benz. The Australian Parts Distribution Centre in Melbourne is an integral part of the global Mercedes-Benz parts distribution network and supports the extensive network of authorised Dealers across Australia. From the smallest screw to a complete body shell – each part finds its own storage spot in our global logistics network. 500,000 different parts are waiting to be picked at any time with an additional 80,000 parts provided individually according to our customers’ wishes – from a golden ashtray to a pink wing mirror. Not only do we stock parts for current models, but even for models whose series production ended many years ago. Your Mercedes-Benz vehicle key plays a major role in protecting you against theft, thanks to advances in mechanical and electronic security. That's why we have developed a secure procedure to ensure that only you, the owner, can order and receive replacement keys. It takes a bit longer to deal with your order, because we take great care at every stage in the process of issuing a new key. So we recommend that if you are using your spare key, order the replacement now to avoid any unnecessary inconvenience. We also offer the service of obtaining additional keys for your vehicle. If you wish to order an additional or replacement key, please contact your local authorised Dealership to talk through the necessary documentation you will require.